Just before June was over,the box above landed on my desk. I tad cheated and have been following the hash tags leading to last month's box hence already know it's a Bioderma collaboration before I unwrapped my package. Through my snooping, I already saw some subscribers *highly* disappointed by the sample sizes. Let me tell you first off that girlllll you're missing out! 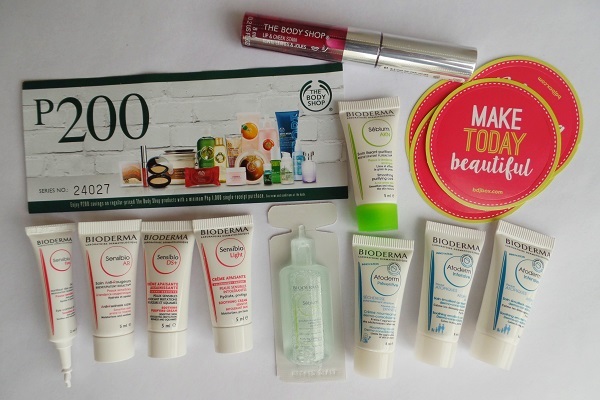 As someone frequently shuffling back and forth Singapore and Hong Kong, I couldn't be happier to see that 1) since Bioderma's now locally available, I don't have to hoard and check-in heavy bottles and tubes and 2) BDJ Bellas get to try a lot of their star products before committing to full-sized products. 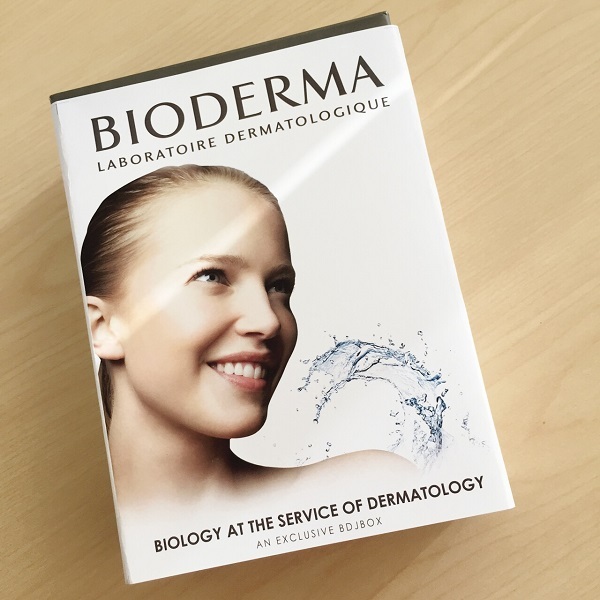 I've been a Bioderma user for some 4-5 years now and I can confidently tell you that it's a brand worth the online rave. It’s time to keep those bathing suits and summer hats away as the rainy season is coming our way! The change from hot summer winds to cool rainy breeze is very welcoming. We should be prepared to make our skin adaptable, moisturized and well-nourished. Following my BDJ Box profile, the box I received was fit for those with combination to oily and sensitive complexions. Continue reading below to see what I got this round. Restore the youthful brightness of your sensitive eye area with this gel. The lightweight hydrating gel works to decongest this most delicate area of our skin, reducing puffiness and smoothing line lines with its rigorously selective active ingredients. Immediately, eye skin is soothed and protected, and becomes resistant to external attack thanks to the patented Toléridine® complex. Bioderma Sensibio AR, 40ml Php 1668 (sample vial)This daily hydrating cream is formulated to reduce the intensity of redness and prevent its appearance with a wealth of perfectly tolerated active ingredients. Instantly soothing upon application, it reduces the ‘overheated’ feeling experienced in skin that is prone to redness. As well as working immediately, the cream works over time to combat the formation and aggravation of diffuse redness with a long-lasting effect. Bioderma Sensibio DS Cream, 40ml Php 1628 (sample vial)This is an intensely calming moisturiser with a lightweight texture. Designed for those who have sebhorrhoeic dermatitis, its soothing formula works to relieve high colour and smooth the skin using a dual anti-fungal and anti-inflammatory action. It uses a targeted action to boost the skin’s healing process, while the patented natural D.A.F complex improves the skin’s tolerance threshold. Its pleasant, non-oily gel-cream texture provides instant comfort. Bioderma Sensibio Light, 40ml Php 1548 (sample vial)This silky everyday moisturizer protects the complexion from external aggravators, and works to build the skin’s own tolerance over time with the patented Toléridine® complex. Formulated with rigorously selective active ingredients, it is an ideal step in the treatment of sensitive skin. Over time tightness and overheating of the skin is reduced thanks to the restoration of the cutaneous barrier. In its place is a supple, comfortable and less inflamed complexion. Sebium H2O cleanses the skin in depth, and improves the quality of sebum production with the patented Fluidactiv® complex. The non-comedogenic cleanser removes impurities using micelles, which micro-emulsify and remove impurities without drying the skin out. It leaves the skin looking clear and feeling fresh. Soak a cotton pad with the solution, then use to cleanse the face and eyes. Just when I thought my Sebium H20 couldn't get cuter, I meet this vial perfect for 911 travels! :) I swear by this product to clean my face pre-toner everysingleday. There are known dupes to date but to me, nothing comes close yet. 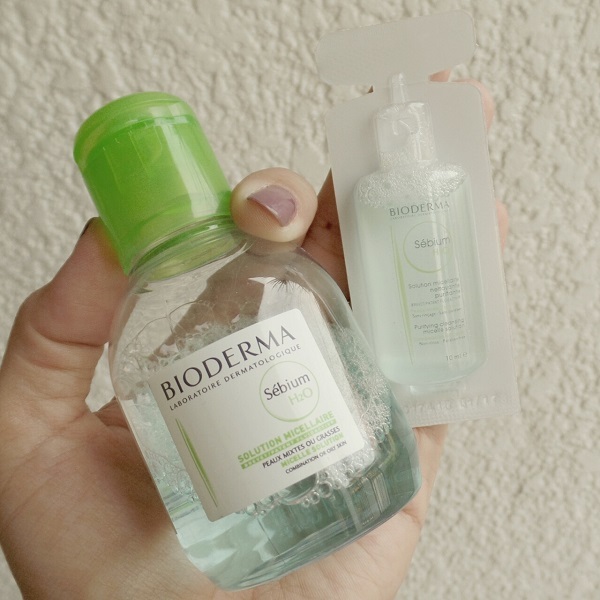 If it's your first time to try a Bioderma product, this is a good entry point IMO. Bioderma Atoderm Preventive, 200ml Php 1998 (sample vial)Limit the aggravation of very dry skin from birth with a delicate formula created for infants and children. It has been developed to intensively restore the integrity of the skin barrier by strengthening and protecting young skin, ensuring that the evolution from dryness to atopic dermatitis in childhood is prevented. With its quick application and ultra-comfortable texture, skin is soothed swiftly and durably. Bioderma Atoderm Intensive, 200ml Php 1418 (sample vial)When skin is atopic and dry, it can be extremely irritable, itchy and uncomfortable. The Intensive Soothing Emollient Care is created with Bioderma’s exclusive Skin Barrier Therapy® complex, which restores the integrity of the skin barrier, prevents the penetration of allergens and enhances suppleness and comfort. Added Zinc and Betasitosterol provide intense anti-inflammatory care, and helps to stop the itch. Bioderma Sebium AKN, 30ml Php 1038 (sample vial)This non-comedogenic treatment cleanses the pores in depth while slowing the overproduction of sebum. It also smoothes the skin’s texture over time, ensuring that it looks clear and more uniform. Soothing ingredients reduce irritation and diminish the appearance of redness, and hydrating agents to make sure the skin is comfortable and soft. The light texture is rapidly absorbed and makes a great make-up base. This dual-purpose stain from The Body Shop gives your lips and cheeks a healthy-looking glow with one wash of color, or builds up for a richer, deeper coverage. Used alone, it’s a sheer stain, but can also be used as a great base for lip and even cheek products for a longer lasting flush. Its moisturizing formulation helps to condition the skin with Vitamin E. Dab onto lips or cheeks straight from the applicator, then blend using clean fingertips. 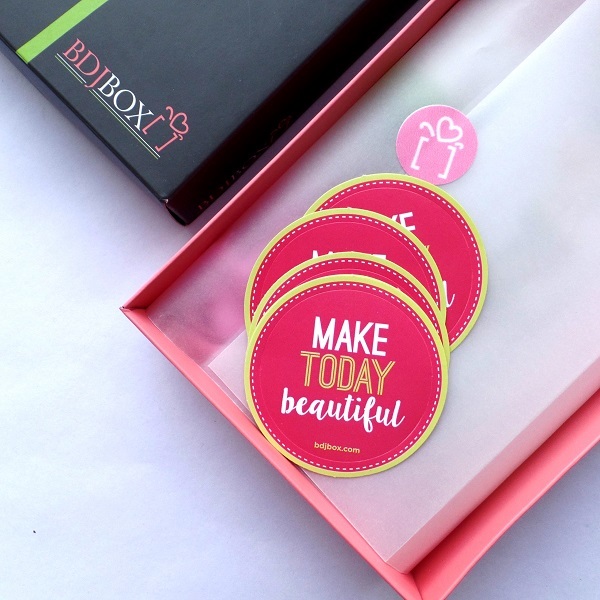 You can get your own BDJ Box for only Php 580 for 1 month, Php 1,700 for 3 months and Php3,300 for 6 months. Subscribe BDJ Box by visiting bdjbox.com.